Brackenwood design, create and install bespoke hardwood orangeries, conservatories and garden rooms. 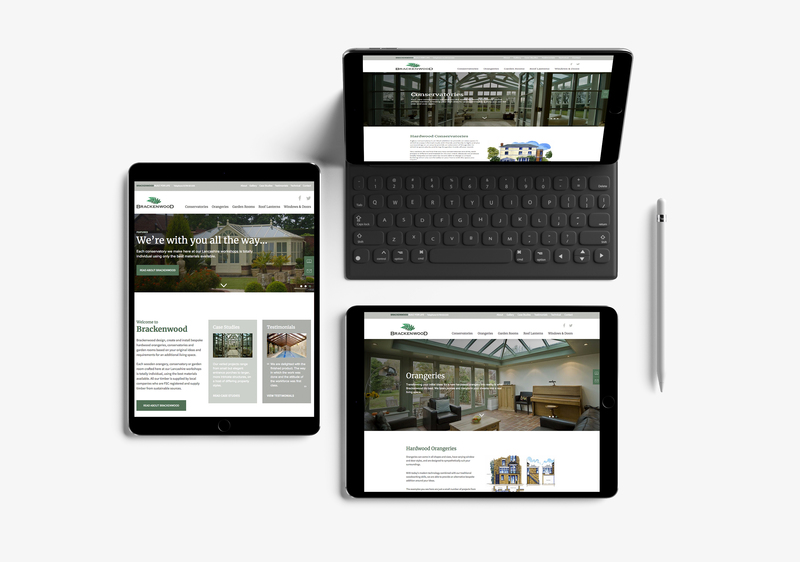 We have worked with Brackenwood Conservatories since 2009, designing and developing two websites during that time. The latest website aims to promote the quality bespoke conservatories and orangeries they design and build. Features include; extensive gallery management, social sharing and responsive framework for hand held devices. Research, web design, site structure, web development, SEO, hosting, consultancy, wordpress maintenance, technical support.